Call (910) 324-5151 to Play Today! 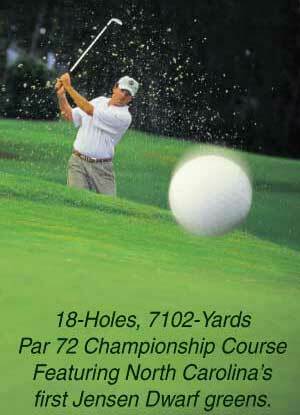 Rock Creek Golf and Country Club, a beautiful well-designed 18-hole golf course. Convenient to the beaches and just a short drive from Interstate 40 and historic New Bern, Beaufort and Wilmington, Rock Creek has emerged as one of the area's most popular golfing destinations both with locals and those vacationing in the area. Designed by Jerry Turner and Associates, Rock Creek boasts an 18-hole, 7102-yard, par 72 championship golf course featuring North Carolina's first Jensen Dwarf greens. The course provides a true challenge. Lakes have been created at strategic locations; fairways are wide, long and lush with 419 Bermuda grass, with the first nine being lined with loblolly pines, while the Jensen Dwarf greens offer a polished and manicured putting surface year round on elevated and undulated greens. Developed by Morton Farms Inc, Rock Creek has the distinction of being Onslow county's first planned recreational community, the golfing facilities being the heart of the recreational program. To live at Rock Creek is to know the best in unspoiled country living… it is a way of life. Rock Creek's signature is welcome and friendliness. 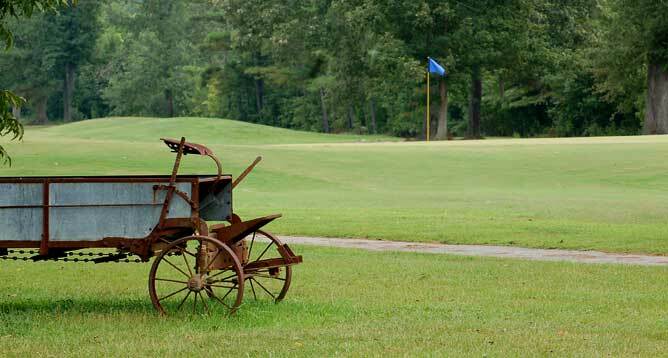 We invite you to come play a round with us and discover one of Onslow County's most beautiful treasures.